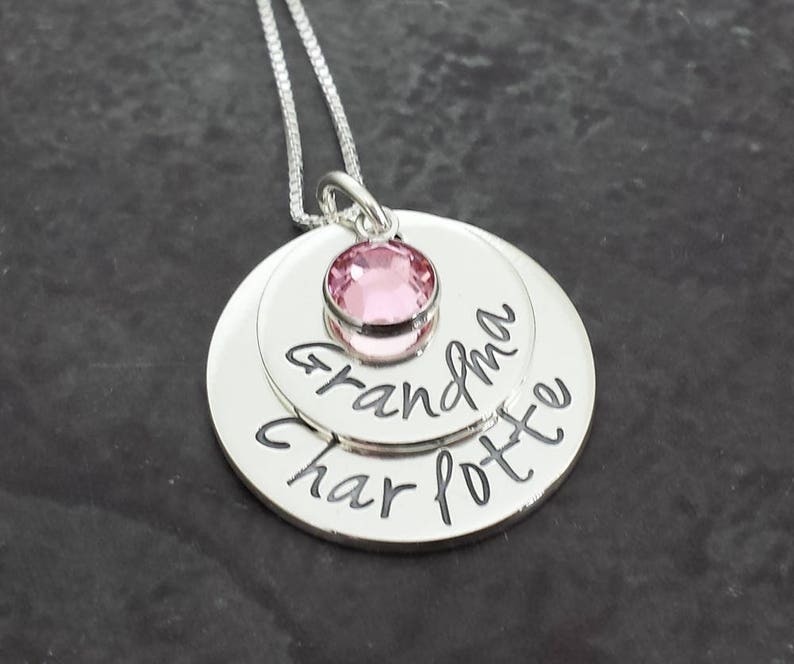 Personalized Grandmother's Sterling Silver Necklace is hand made with thick 3/4" and 5/8" stacked round sterling silver charms. Personalize both charms with name/word of your choice. Comes with your choice of sterling silver chain and Birthstone. Please enter personalization in notes box during checkout.